Hidden hunger affects over two billion people, globally. The cause is a chronic lack of essential micronutrients in the diet, such as vitamins and minerals. The effects of these nutritional deficiencies may not be seen immediately, but the consequences can be severe. They include lower resistance to disease, mental impairment and even death. While many of the cases of hidden hunger are found in developing countries, this phenomenon is also a growing public health concern in developed countries. For example, iodine deficiency is the most common cause of preventable mental impairment and the UK ranks seventh among the 10 most iodine-deficient nations. And data from the US shows that more than one in four children lacks calcium, magnesium or vitamin A, and more than one in two children are deficient in vitamin D and E.
There are several causes of hidden hunger in developed countries. The consumption of cheap, energy dense, nutritionally poor and heavily processed foods, particularly by poorer members of society, is a major factor. Even when fresh produce is consumed, there appears to be fewer micronutrients available than was once the case. This is due to issues such as soil health, caused by poor agricultural management and climate change. The rapidly growing trend of veganism is likely to become another major contributor to hidden hunger in the developed world. 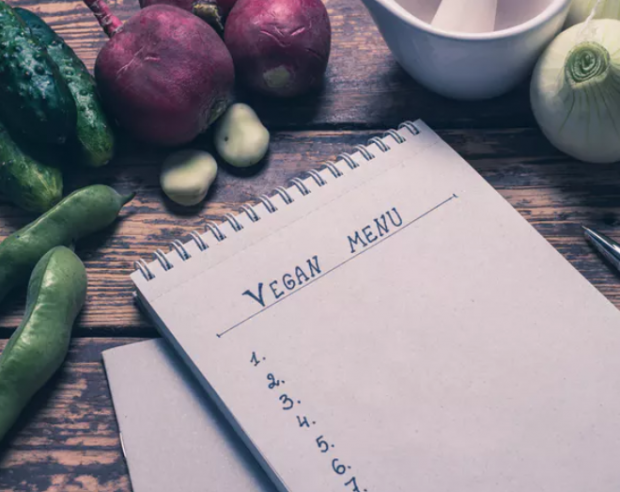 According to the Vegan Society, the number of people switching to a vegan diet in the UK has risen more than fourfold in the last decade. A study commissioned by the Vegetarian Resource Group revealed that nearly 5% of the US population are vegetarian and about half of these are vegan. Eating a plant-based diet may lower the risk of chronic disease and is good for the environment, but poorly planned vegan diets that do not replace the critical nutrients found in meat, can lead to serious micronutrient deficiencies. Bone health is a concern for long-term vegans. Vegans are consistently reported to have lower intakes of calcium and vitamin D, with resultant lower blood levels of vitamin D and lower bone mineral density reported worldwide. Fracture rates are also nearly a third higher among vegans compared with the general population. Omega 3 and iodine levels are also lower compared with meat eaters, as are vitamin B12 levels. Vitamin B12 is most often obtained from animal foods, and higher rates of deficiency have been found in vegans compared with other vegetarians and meat eaters. The symptoms can be serious and include extreme tiredness and weakness, poor digestion and developmental delays in young children. Untreated, vitamin B12 deficiency can cause irreversible nerve damage. While getting less than the optimal amount of B12 is quite common in pregnant women and in less-developed countries, the reported frequencies of deficiencies among vegetarians and vegans in developed countries vary greatly in severity between age groups. Even low levels of vitamin B12, but not enough to be classed as deficient, may be bad for your health and increase your risk of heart disease. Vegans can prevent micronutrient deficiency by consuming fortified foods (food with added vitamins and minerals) and taking supplements. But supplement use is often resisted by those on a plant-based diet and they have been reported to interfere with the absorption of other important nutrients. Also, plant-derived vegan supplements tend to have low biological activity in humans. For example, studies show that vegan-friendly vitamin D2 supplements are less effective in raising blood vitamin D levels than the more widely used vitamin D3 supplements. Other supplements, such as vitamin B12, may be largely inactive in the body. Hidden hunger is widely recognised and is being addressed in many parts of the developing world by well-organised and large-scale bio-fortification programmes. Perhaps something similar needs to be done to address hidden hunger in the West.